Much can and has been said about the frenetic fiddle genius, Scotty Stoneman. I'm convinced that between what has been written and rumoured about Stoneman are some tightly wound strands of fact and fiction. Stories abound of his outrageous character, and if a great deal of us tend to believe these tales (did he really hate pianos so much that as an act of defiance he defecated in one? ), perhaps it is because it would be a step towards explaining his outrageous playing. I won't recount his entire story here, it has been told enough that a simple Google search will do that. A great deal of his current profile is that he was a member of one of Country Music's founding families, Jerry Garcia has called him "the Charlie Parker of the Bluegrass fiddlers", and he died young and tragically of a legendarily reckless lifestyle. Of course, the main thing that keeps his name coming up over forty years after his death is his unique and virtuosic playing. Much has been said about his improvisatory approach, and his extended solos. What seems to be less often noted is his command of advanced chord theory, so evident in his double stops. As far out as his playing gets, he never seems to be lost, rhythmically or melodically. 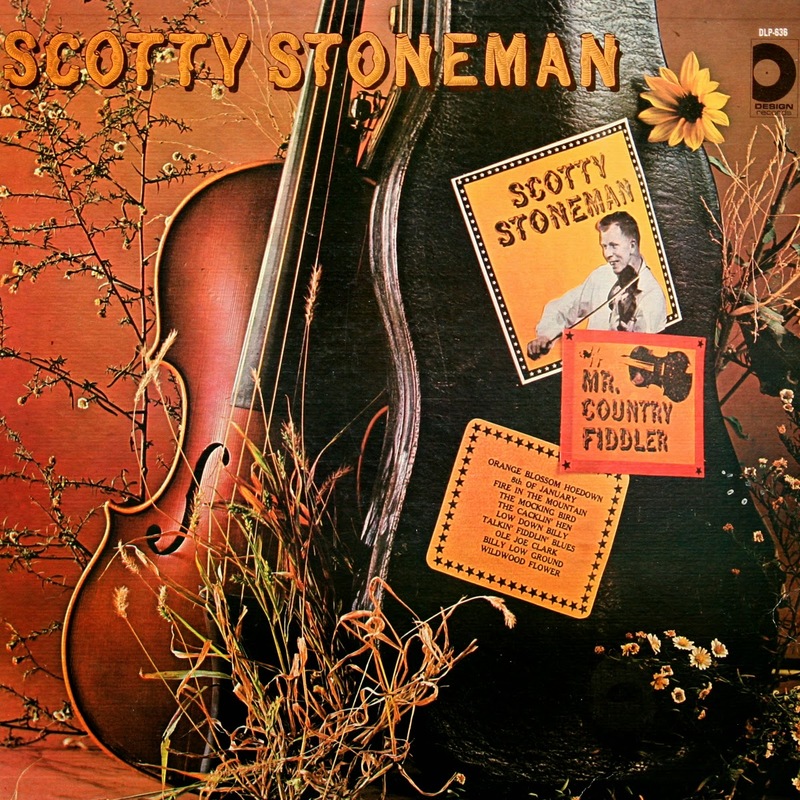 Although Scotty played on a great deal of classic Bluegrass recordings, he really only had one instrumental LP released in his lifetime, and it was on a dimestore label at that. A second LP of live recordings appeared after his death, and these have been the two releases that have carried his radical fiddling to the ears of successive generations. "Mr. Country Fiddler" was recorded in 1967 at Unity Recording Studio in Washington, D.C. with Country Gentlemen alumni Bill Emerson on banjo, Charlie Waller on guitar, and Tom Gray on bass. It was released on Pickwick's super-budget Design imprint, and was probably recorded to be sold to Pickwick for some ready cash (Emeron and the Country Gentlemen both did the same for the label). As is the nature of recordings under such control, the tracks have been recycled on various collections through the years. "1965 Live In L.A.!" was first issued on LP in 1978 from tapes of live shows he played with the Kentucky Colonels during his short stint with the band. These performances with the young White Brothers are probably the most spontaneous committed to tape during his lifetime, and despite some imperfections in the source tapes, are still sparklingly exiting to listen to today (as well as giving us a chance to hear his excellent vocals, which are a whole other topic in and of themselves). The version in this download is a hybrid of the LP and CD releases; it contains all selections included on both. Back in 1991, when CDs had pretty much taken over the market, CBS released a series of "Columbia Country Classics" issues which included five volumes chronicling the evolution of Country Music, plus individual collections by some of the big names in Columbia's catalog (Roy Acuff, Bill Monroe, Ray Price, Marty Robbins, etc.). While most of these issues received wide circulation, the present collection seems to have been lost in the shuffle (I picked up my copy in a discount bin not much more than a year after its release). Perhaps the problem was that people mistook it for a collection of Hank Williams' recordings - it is not, nor is it a crass attempt to market cover versions as originals. 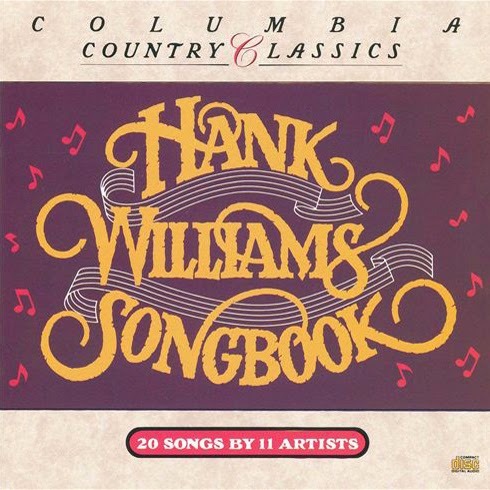 "Hank Williams Songbook" is a fascinating collection of twenty recording presented in chronological order; the first fifteen tracks are songs of Hank's recorded by his contemporaries during his lifetime, the last five are covers by other artists made in the seven years after his death. Has anyone so dominated Country music from an early grave as Hank Williams? Even today, he is the benchmark by which success in the field is measured. Seemingly every aspect of his professional and private life has been dissected, like the Russians once dissected Lenin’s brain, trying to analyze the magic stew of ingredients that made him special. If one sidebar to Hank’s career remains murky, it’s his prolificacy as a custom songwriter. This collection goes a great distance toward addressing that shortfall. The first fourteen songs were mostly written by him for other artists while he was alive; the remainder are among the first attempts to reinterpret his legacy after his death. at his first session. There would be four others, including “On The Evening Train,” the only song on which Hank’s wife, Audrey, is listed as co-composer, and “I Don’t Care If Tomorrow Never Comes,” another song that Hank recorded for Sterling at his second session. Hank’s best-known hymn was probably “I Saw The Light.” His version was cut in April 1947, but not released until September the following year. By then, Roy Acuff, one of the partners in Acuff-Rose, had recorded and released it. The song, based on Albert Brumley’s “He Set Me Free,” was as tailor-made for Acuff as it was for Williams. Acuff had been one of Hank’s heroes during the lean years, and it must have represented deep personal gratification when he cut the song. Curley Williams (no relation to Hank, incidentally) was born in south Georgia; his given name was Doc. He was the seventh child, and, according to family lore, the seventh child would be a doctor; instead, he was a fiddle player. 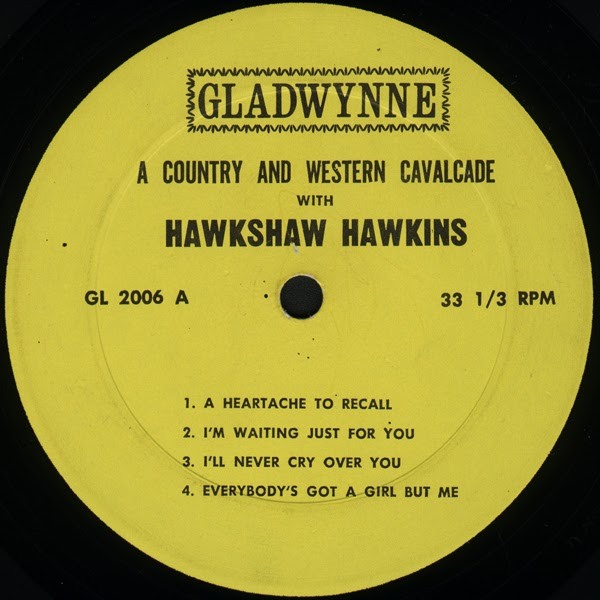 He and Hank shared the stage at the Louisiana Hayride where Hank jump-started his career in 1948. Hank later recorded Curley’s song “Half As Much,” and Curley cut three songs that he and Hank wrote jointly. Another struggling singer who received Hank Williams’ help at a critical juncture in his career was Ray Price. Raised in Dallas, Price had moved to Nashville to join WSM shortly before Audrey Williams kicked Hank out of the house. Hank moved in with Price for a while, and gave the young singer three of his finest songs, telling him “what you need little buddy is a hit record to get you started.” None of them was that elusive first hit, but, after Williams returned to Shreveport in late ‘52, Price took over his band, the Drifting Cowboys, for a couple of years. Quite how George Morgan came to record “A Stranger In The Night” is something of a mystery. Morgan wasn’t one of Williams’ favorite acts, although they shared the Opry stage. The song, surely one of the little-known gems in Williams’ catalog, probably devolved to George because the co-writer was George’s brother, Bill Morgan. Jimmy Dickens was another Opry regular; he and Hank were booking out together on Opry touring packages when Dickens cut “I Wish You Didn’t Love Me So Much.” It was a barbed song laced with Hank’s grim humor that he re-cast as a talking blues under the title “Please Make Up Your Mind” in July 1952. His version appeared under the disguise of Luke the Drifter; Dickens’ version wasn’t released at the time— except, unaccountably, in Canada. Now we move on to the artists who reinterpreted the Hank Williams songbook after his death. Anita Carter, one the daughters of Mother Maybelle Carter, was still working wish her mother and sisters when they joined Columbia in 1953. Hank’s original of ”There’ll Be No Teardrops Tonight” was buried on the flipside of “Mind Your Own Business.” Columbia framed Anita’s version with a string section, surely one of the first experiments in blending hillbilly instrumentation with strings. Marijohn Wilkin is best known us a songwriter (“Long Black Veil” etc. ), but in 1960 she still held fast to the notion of making it as a singer. Her reading of “Cold, Cold Heart” owns more to Tony Bennett’s recording of the song than Hank’s original. We close with Johnny Cash, an artist whose stunning originality and top rank songwriting skills made him the first serious challenger for Williams’ crown. In February 1960, Cash was recording some of his favorite hits by others for a collection called ‘Now, There Was A Song,”al so notable as the first occasion on which he employed standard country instrumentation. Cash’s inevitable nod to Hank Williams was “I’m So Lonesome I Could Cry,” a song that echoed the feel he strove for in his own writing. Those who knew him say Hank Williams was resolute about keeping what he considered his best material for himself, but what we find in his custom-written songs are not so much rejects as songs that didn’t fit his needs at the time. As an added fillip, there are five songs here that haven’t even surfaced in demo form by Hank. They highlight a collection that illuminates one more corner of Hank Williams’ brief, incendiary career. Mention “Western Swing” to a Country Music buff and certain thought patterns emerge—The Southwest, hardwood dance floors, the hanging smoke fog, and good spirits in one form or another. Occasionally a few fists would fly, too, but this need not be surprising when one considers the setting. 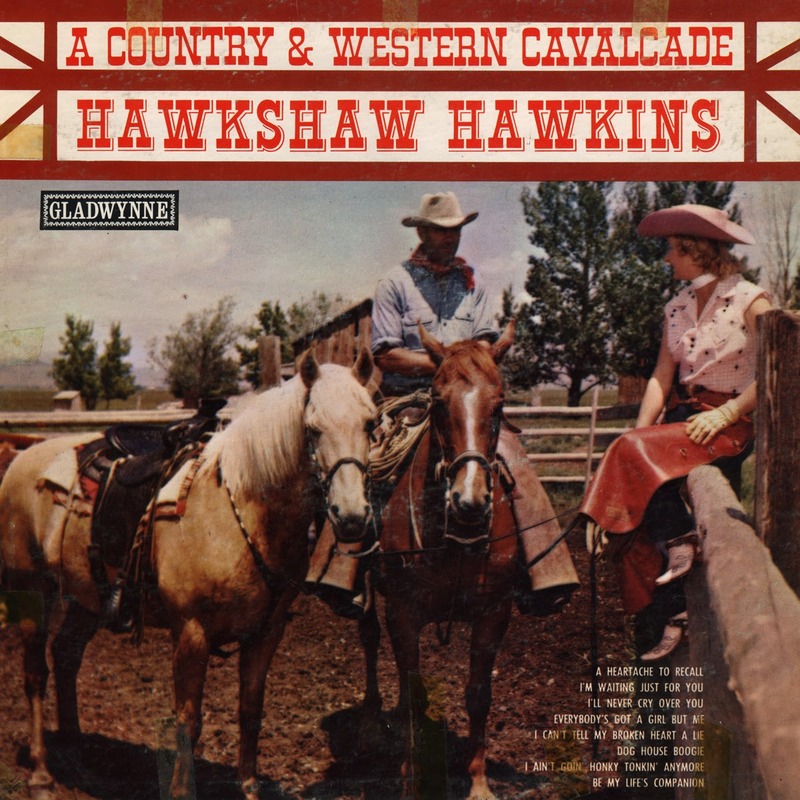 The use of “Western Swing” as accepted definition for this blending of rural hillbilly music with other elements didn’t occur for more than a decade after the music’s inception. 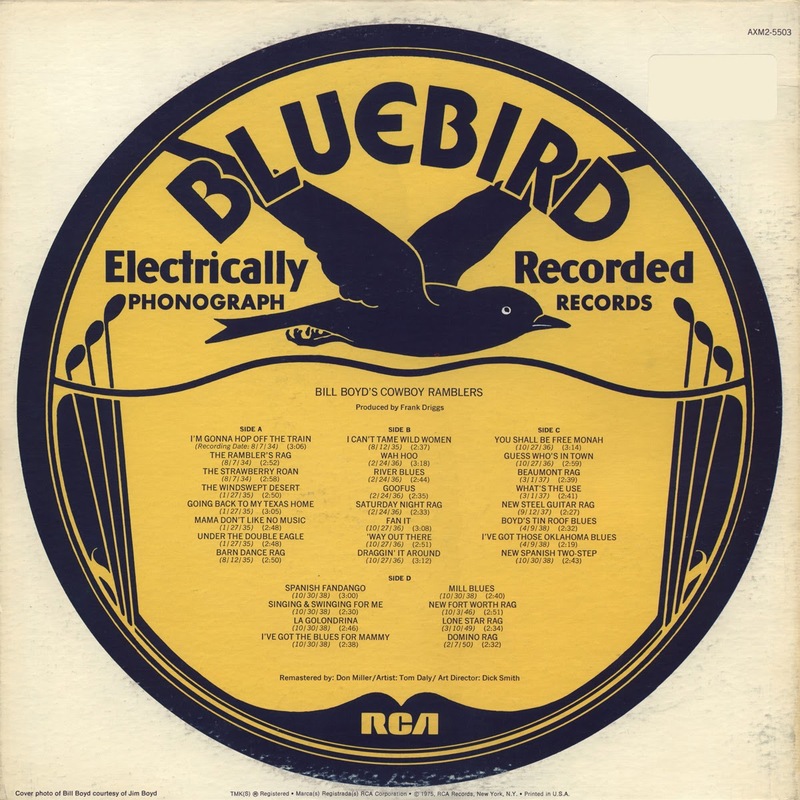 Some interim descriptive attempts in trade circles included “Novelty Hot Dance,”“Old Time Singing and Playing” and “Hot String Band.” A 1939 Bluebird Record Catalog of “Old Familiar Tunes” spotlighted such recordings as “Of Special Interest to Coin Operators,” for the coin-operated jukebox’s impact on record sales had become significant and the jukebox was now a permanent fixture in cafes and restaurants. More important, however, it had also assumed a role as THE dance band at some establishments where the expense of providing live dance music was prohibitive. Thus, recordings by Western Swing bands were sought after by jukebox operators, particularly in the Southwestern states. By July, 1941, an issue of Victor Record Review was approaching a final definition of this musical style when it used a subject heading of “Texas Swing” in listing the latest Bluebird label releases by various Texas and Louisiana groups. Finally, in 1946, Spade Cooley was dubbed with the title “King of Western Swing.” Spade’s fancy arrangements and unusual instrumentation, even including classical harp, had met with great success in California, where he headquartered, and earned him this nickname in a contest held by The Boots and Saddle Club. Thus the appellation, “Western Swing,” gradually became popularly used to describe the musical sound created by these larger Country-oriented dance bands. While its debt to other musical styles, particularly jazz, can’t be minimized, Western Swing had to retain sufficient rural Country flavor to be accepted by the folk. This was not all that restrictive, however, for the style of musical output would still vary from one Western Swing band to another. Milton Brown’s Musical Brownies for example, achieved great success in recording without the use of horns. 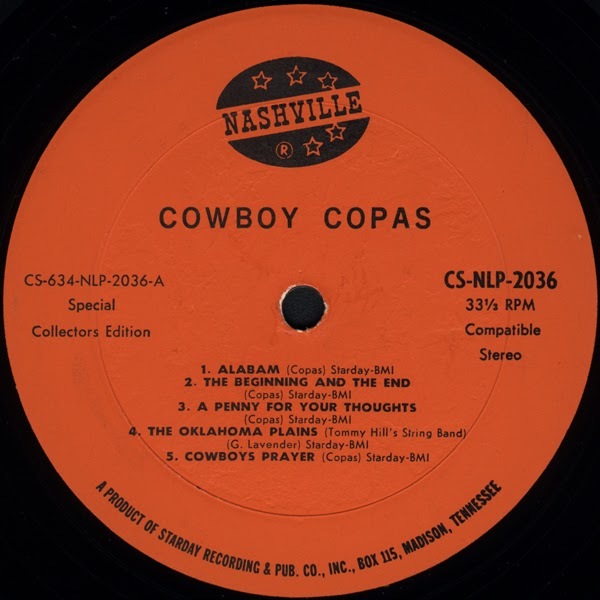 Bob Wills’ Texas Playboys, on the other hand, employed horns successfully on many recordings. The sheer size of the Wills band in the pre-War years enabled it to vary its sound from Country to Swing or Jazz even in the middle of a single performance. But the Wills band could and did continue to perform the Country sounds, too, which allowed it to retain that base or rural support despite its occasional forays into non- Country idioms. Another top flight group which had no fear of losing the support of loyal, Country fans was the Cowboy Ramblers. 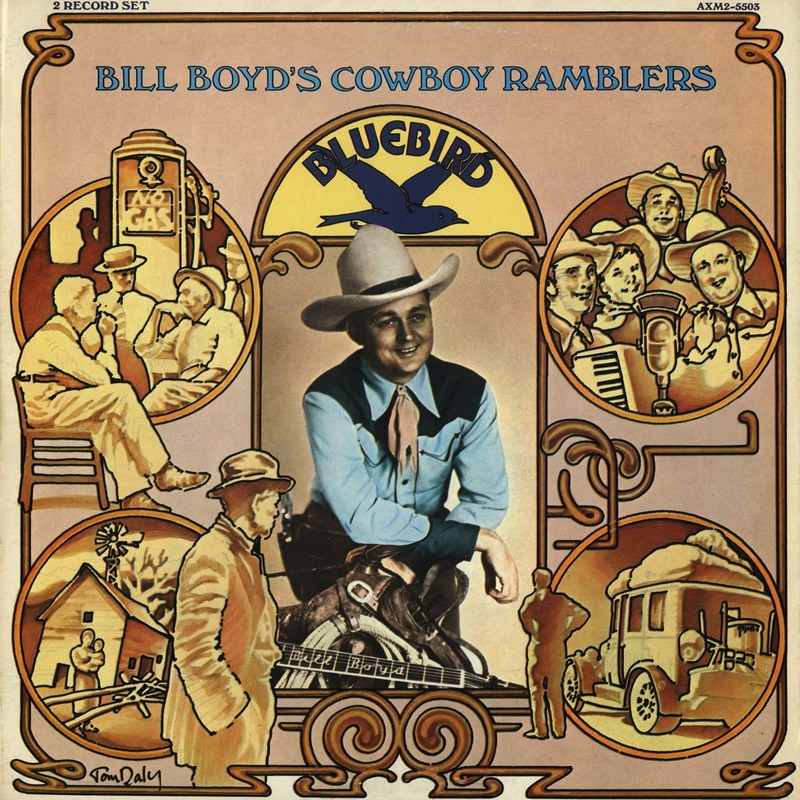 Led by Bill Boyd, with able assistance from younger brother Jim, this band’s output was primarily an all-string Western Swing repertory from beginning to end, with horns or drums used sparingly. William Lemuel (Bill) Boyd was born September 29, 1910, in Fannin County, Texas and Jim’s arrival came four years later on September 28, 1914. Their parents, Lem Boyd and the former Molly Jared, were natives of the middle Tennessee town of Cookeville (Putnam County), where their ancestors, William Boyd and William Jared, had settled their families after having served in the Revolutionary War under General Washington. Lem Boyd chose to join the migration westward in August, 1902. Texas was chosen as a destination when he heard rumors of more potential for money there. The family initially settled near Whitewright (Grayson County), but moved to nearby Fannin County in late 1903 where they established a 320-acre cattle ranch/cotton farm four miles southwest of Ladonia. With thirteen children in the family, the Boyd Ranch was operated mostly by family members although some hired help was necessary, especially at harvest time. Chores for Bill and Jim weren’t unlike those encountered by other farm boys, including laborious hoeing and picking in the cotton fields, riding, roping and a host of other duties. Thus to brand Bill and Jim as drugstore cowboys would be inappropriate as they were indeed the real thing. Music surrounded the Boyd children on the ranch. Lem Boyd was a tenor singer and Molly often sang old ballads to the family. Old phonograph records were present as was the battery-powered radio. Then there were hired hands on the ranch who, at day’s end, would often play and sing western songs. True to form, Bill obtained a mail order guitar and in due time was performing alongside the ranch bands. In 1926, Bill and Jim, along with two rural neighbors, Howard and Bill Staley, were invited to perform on Greenville radio station KFPM. No money was involved in their radio debut, but they came away convinced that guitar pickin’ was a preferable career to cotton pickin’! Despite their radio debut, however, work on the farm had to continue and their responsibilities became even heavier due to the death of their father that same year. By 1929, farming had become less lucrative and the family decided to lease the farm and move to Dallas and sample city life. Bill had completed his schooling and, along with other family members, sought employment to make ends meet. Jim enrolled at Dallas Technical High School where he met Audrey (Art) Davis for the first time. As classmates, they performed in the school band; Art on clarinet and Jim on guitar. Art was also becoming proficient on fiddle and mandolin which prompted Jim and Art to volunteer their musical services (in “down home style”) for school assembly programs. The first Cowboy Ramblers band was thus taking shape. Due to job scarcity and tight money in general, Bill was forced to accept any employment opportunity that came along and labored in positions ranging from department store delivery boy to roofer. His longing for a musical career had not waned, however, and he continued to cast an eye in this direction. A big turning point for Bill came when he and two friends, O. P. Alexander and Red Stevens, auditioned for station WFAA and were hired for an early morning show. Dubbing themselves “Alexander’s Daybreakers,” Bill performed on guitar and sang, O. P. blew harmonica and Red tickled the mandolin strings. Audience response was sufficient to keep the show on the air for two years whereupon, in 1932, the Cowboy Ramblers were formed. WRR then became base of operations for Bill, and for Jim, too, as one of the Ramblers’ charter members. The musical careers of both Boyds were now on the upswing. Bill continued to front the Cowboy Ramblers on WRR for more than two decades. Except for a tour of duty with the Light Crust Doughboys band in 1938-1939, Jim remained a member, too, and would assume leadership responsibilities when Bill was away on other business, such as personal appearance tours. Jim also recorded for RCA during 1949-1951 with his own band, The Men of the West. Here Jim vocalizes on Wah Hoo and I’ve Got Those Oklahoma Blues and sings in duet with Bill on I’m Gonna Hop Off the Train (their first recording), Going Back to My Texas Home and I’ve Got the Blues for Mammy. Bill solos on The Strawberry Roan, The Windswept Desert (Desert Blues), Mama Don’t Like No Music, Fan It, Singing and Swinging for Me and teams with Curly Perrin on ‘Way Out There. Curly performs the vocal on Guess Who’s in Town. Interestingly, younger brothers John and Clyde Boyd also journeyed into music. John picks on steel guitar on several Ramblers’ recordings, including the versions of Boyd’s Tin Roof Blues and Spanish Fandango heard in this set. In addition, he also formed his own band, The Southerners, and completed a recording session with them in 1937. John met an untimely death in a motorcycle accident in 1942. Clyde, while not a participant in the Ramblers’ recordings, did become teacher of guitar and, at this writing, manages the Boyd School of Guitar in Dallas which has been in operation for over 40 years since its founding by Bill in the early 1930s. By the mid-1950s the musical airwaves were fast becoming sole property of the platter-spinning deejays, resulting in the demise of live musical programming on the local station level. This also signaled an end to the Cowboy Ramblers and forced Bill and Jim to join the deejay crowd. Bill continued to perform in this capacity until his retirement two years ago and Jim still spins the discs today on a part-time basis, though laboring full time as a housing contractor. The bleak Depression year of 1932 witnessed the formation of the first Cowboy Ramblers band on radio station WRR. The band was comprised of Bill and Jim Boyd on guitars, Art Davis on fiddle and Walter Kirkes on 4-string banjo. The band members, other than Bill, were actually WRR stall musicians and, as such, derived their income from the station. Bill would purchase the necessary time for his daily program from the station, which included talent costs, and would then sell the program to local sponsors. As staff musicians, the band members would also perform on similar musical programs throughout the broadcast day, such as Roy Newman’s “Noon Hour Varieties.” For Bill’s personal appearances requiring a band’s presence, such as at fair dates away from Dallas, he would resort to a “pick-up” band of musicians desiring such work. Most recording sessions required the augmentation of his radio group with musicians from the Light Crust Doughboys and/or other bands in order to achieve a fuller sound. Since this meant using some non-WRR personnel, their recordings would vary from the music heard on their WRR radio programs. Despite the success of Bill’s recordings with jukebox dancers, live dance dates for Bill and the Ramblers were rare. Bill’s prime interests were in his daily radio shows, fair and theater dates, plus his recordings. His narrowed activities made some sense, for to play dance dates would have meant further augmentation of his radio band or else the formation of new “pick-up” bands. Though plenty of musicians were available for such duty, it was felt that any potential gain was not worth the problems involved. The Ramblers’ recording career was launched as a result of the interest of a district manager for Victor Records who had heard the band perform and recommended them for a recording contract in 1934. This marked the beginning of a relationship that spanned seventeen years. All of their records were issued on Victor’s Bluebird label prior to 1946 with subsequent releases appearing on RCA Victor. For their initial recording session in San Antonio’s Texas Hotel on August 7, 1934, the Ramblers were basically a four-piece fiddle band. 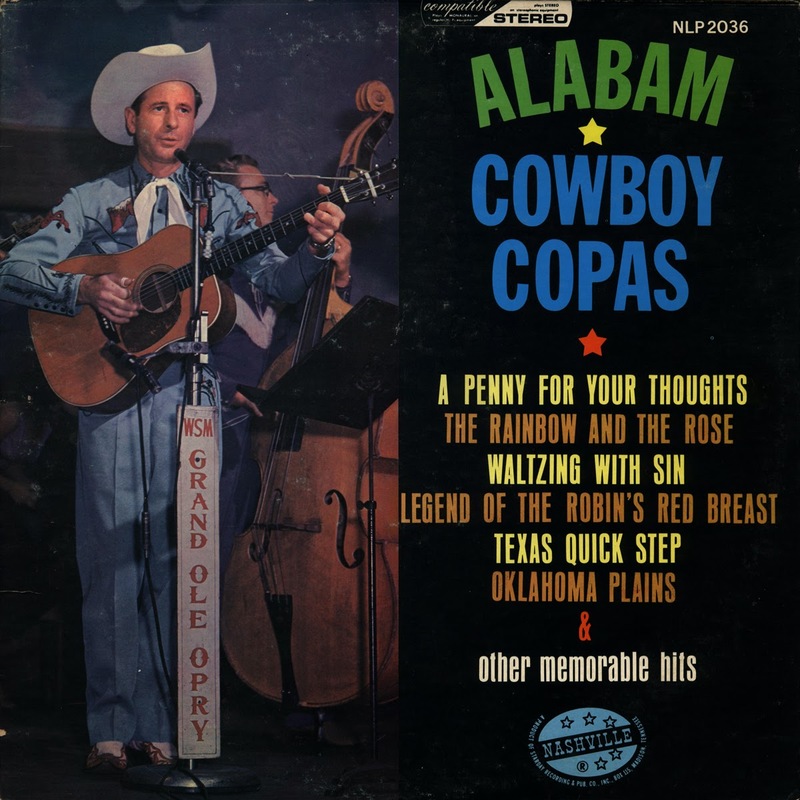 Performances were mostly western-flavored selections, such as The Strawberry Roan (heard herein), or fiddle instrumentals like The Lost Wagon (actually Soldier’s Joy) and The Ramblers’ Rag, also presented here. Personnel in the band consisted of the same foursome that comprised the original 1932 group. A later session in August, 1935, marked the addition of another guitar for heavier rhythm and in February, 1936, the Ramblers recorded with their first amplified instrument. This was the steel guitar of Wilson “Lefty” Perkins, played in Bob Dunn’s trumpet-emulating style. Dunn pioneered in steel guitar amplification and made the first such recordings with his crude contraption in 1935 as a member of Milton Brown’s Musical Brownies. Recording for their fifth time in October, 1936, a second fiddle was added and the band now numbered seven. By the March, 1937, session an eighth instrument came aboard in the form of a clarinetist plucked from the Musicians’ Union rolls expressly for the session. The band’s size finally peaked at ten for the sessions of September, 1937, in Dallas and April, 1938, in San Antonio. The Ramblers’ 1940s and 1950s recordings stressed the newer songs, including some of their own composition. The band maintained a Western Swing flavor, however, except for a New York session in June, 1945, which utilized New York musicians who had little or no feel for the western style. Fortunately, Bill’s other sessions throughout the years featured musicians who indeed were capable of injecting true enthusiasm into their playing. It, therefore, seems fitting that some of these featured instrumentalists on fiddle, piano and steel guitar be singled out for their contributions to this set. Jesse Ashlock (fiddle): Initially a breakdown fiddler in his native Texas style, Jesse developed into a top Western Swing fiddler by learning “licks” directly from Cecil Brower, Clifford Gross and others. He also admired the recordings of jazz violinist Joe Venuti and learned from them. Jesse’s fiddle comes to life here on Saturday Night Rag, a tune he learned directly from Kentucky fiddler Clifford Gross when Gross was a member of the Light Crust Doughboys in Fort Worth. He, likewise, performs on Goofus and sings on River Blues, better known as Ready for the River. Jesse’s tenure with the Cowboy Ramblers and WRR was brief, but his efforts on Bob Wills’ recordings of the ‘30s and ‘40s are numerous. Cecil Brower (fiddle): No ordinary fiddler by any means, the late Cecil Brower studied music and violin at Texas Christian University but, except for stints with the Dallas Symphony Orchestra and with Ted Fio Rito, he chose fancy fiddlin’ over violin playing. Cecil was prominent on all of Milton Brown’s recordings and did some sessions with the Light Crust Doughboys and Bob Wills, as well as with Bill Boyd. Here he performs on Draggin’ It Around (Draggin’ the Bow), Beaumont Rag and What’s the Use. He had his own band in Odessa, Texas In the late 1940s and was on network TV during the mid-1950s as a member of Bill Wimberly’s band on “Ozark Jubilee.” In the early 1960s he performed on ABC-TV’s “Jimmy Dean Show” and later worked on various recording sessions in Nashville. some early cuts, such as Barn Dance Rag and sings here on I Can’t Tame Wild Women. Art acted and performed musically in a number of B-Western movies with Gene Autry for Republic Pictures and with Bill “Cowboy Rambler” Boyd for PRC. He had a starring role in various films, too, including “The Masked Phantom” and “Texas Marshall.” Art fronted his own band, The Rhythm Riders, for several years after World War II. Carroll Hubbard and Kenneth Pitts (twin fiddles): The tightly- knit fiddle harmony of these two artists on New Spanish Two-Step, La Golondrina and Spanish Fandango can easily project one’s thoughts to Mexico’s mariachi sounds, one of the many Western Swing influences. Both Hubbard and Pitts can comfortably perform in wide areas of the musical spectrum. Carroll studied at the Fort Worth Conservatory of Music and later at the Guild Hall School in London while in military service during World War II. However, he always enjoyed Country Music and joined the Light Crust Doughboys after the War. At this writing he performs with a three-piece Country group at a Dallas night spot and, also, turns violinist (continental-style) for special occasions, such as wedding receptions. Kenneth was performing as a self-educated musician on his 1930s sessions with the Light Crust Doughboys and Bill Boyd, but later, in 1953, acquired a master’s degree in Music Education. His diverse background includes a tenure with the opera in Fort Worth and service as music director for radio station WRAP for several years. He teaches music today and is musically active in the church he attends. John W, “Knocky” Parker (piano): Western Swing served “Knocky” well as both a training ground for performance and springboard to success as a jazz pianist. During his tenure with the Light Crust Doughboys, he became fascinated with Doughboys banjoist Marvin Montgomery’s slurring chords and found them adaptable to his piano playing. (Marvin, incidentally, can be heard supplying his fine banjo back-up on various selections here. Please consult the discography.) 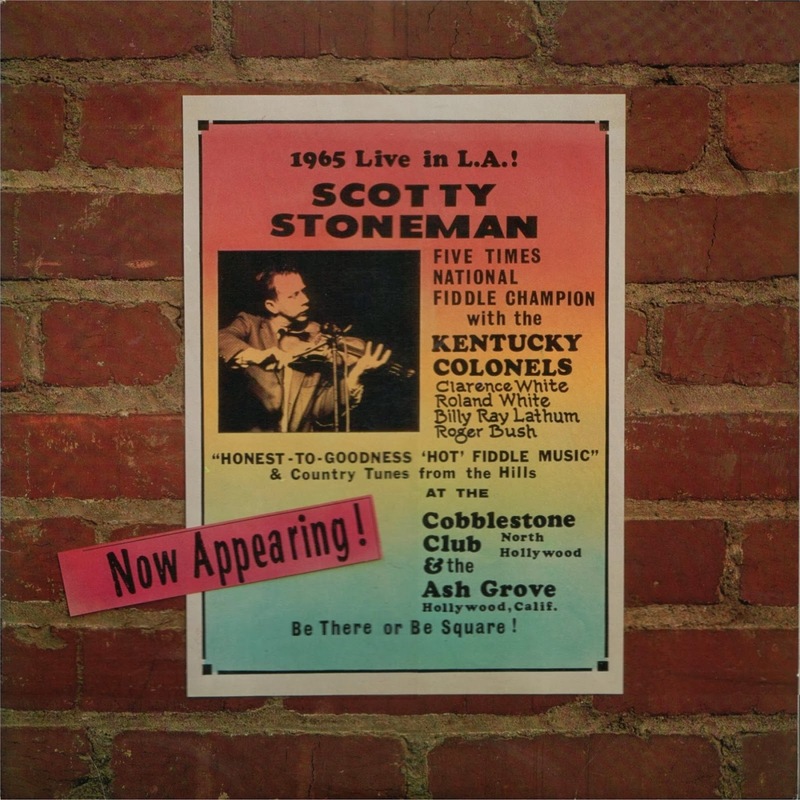 “Knocky” has since described his piano playing as “distinctly Marvinesque.” He augmented the Ramblers on several recording sessions and shines here on Joe Sullivan’s Mill Blues (Gin Mill Blues), which he also recorded with the Light Crust Doughboys one month after the Boyd session. Today, “Knocky” is a University teacher of English, but continues to perform and lecture at jazz concerts. Wilson “Lefty” Perkins (steel guitar): As the nickname implies, Perkins performs lefthanded on steel. The strings, however, are not reversed and remain in a righthand performing position. “Lefty” came to Fort Worth from Denison, Texas, and “made the rounds” with various bands, including the Cowboy Ramblers, Universal Cowboys, Light Crust Doughboys and the Musical Brownies under Durwood Brown’s leadership. “Lefty” had a high regard for Bob Dunn’s steel playing and performed with Bob on twin steels as a member of Major Kord’s Hi Flyers in Eagle Pass, Texas, on “Rancho Grande Roundup” in 1937-1938. His arrangement of New Steel Guitar Rag was a best-seller for the Cowboy Ramblers. “Lefty” continues to be musically active in the Fort Worth-Dallas area. Andrew Schroder (steel guitar): Andy came to Fort Worth via Corsicana where he had performed as a Hawaiian guitarist. He switched to amplified steel and became a member of the Hi Flyers who were being re-organized in preparation for their move to KOMA in Oklahoma City. As a stage band on KOMA from 1939-1941, they also performed under other names, including The Bell Boys. Andy became a Cowboy Rambler in the mid-’40s and has written or co-written several steel guitar tunes, including Roadside Rag and New Fort Worth Rag, the latter spotlighted here. 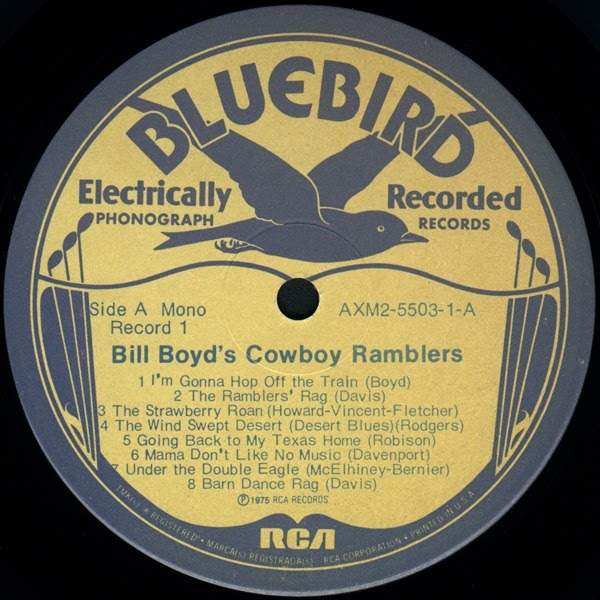 Bill Boyd and the Cowboy Ramblers arc consistently ranked among the top four Western Swing recording bands by aficionados of that performance style. Bill’s knack in surrounding himself with top flight musicians for his recording sessions is noteworthy. The fact that an augmented band could perform with so much cohesion, especially on instrumentals, is amazing. Many of their instrumentals, including New Spanish Two-Step, Under the Double Eagle and others, have sold so well over the years that Bill has been referred to as “King of the Instrumentals.” It’s certainly in this area that the Ramblers’ recordings achieved marked success. The days of the Cowboy Ramblers are over. But great music remains preserved in the grooves of their many recordings. This band cut 229 sides during their years with RCA and it’s a tribute to their fine musicianship that over 99%, or 227, were chosen for release. The download folder includes jacket and label scans.